Vikings may have used the interaction of sunlight with particular types of crystal to create a navigational aid that may even have worked in overcast conditions. Close microscopic inspection reveals them as being far from idealised female forms. 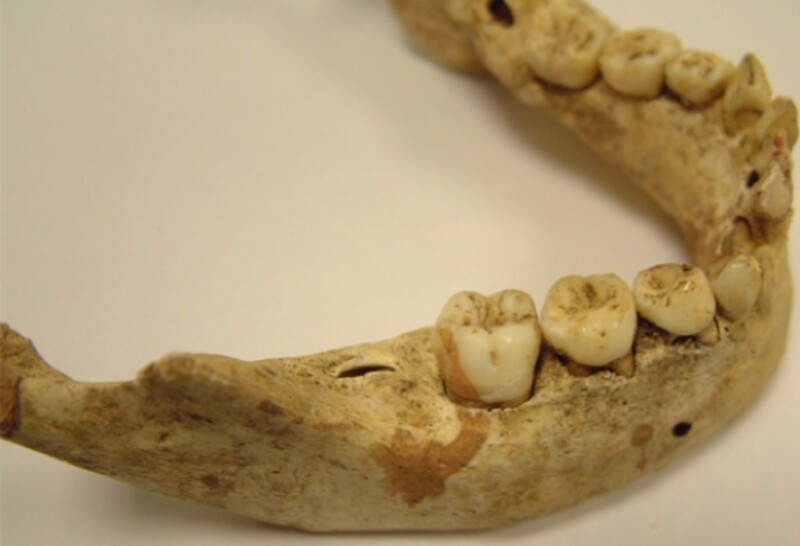 CANTERBURY, ENGLAND—A team from the University of Kent, led by biological anthropologist Patrick Mahoney, used 3-D microscopic imaging to examine the teeth of children between the ages of one and eight years who lived near Canterbury Cathedral during the medieval period. Dental micro-wear texture analysis allowed the researchers to measure microscopic changes in the surface topography of the teeth without damaging them, and offered clues to how hard the food was that the children had been eating. The team found that weaning had begun for the youngest children, and that their diets became tougher at the age of four. 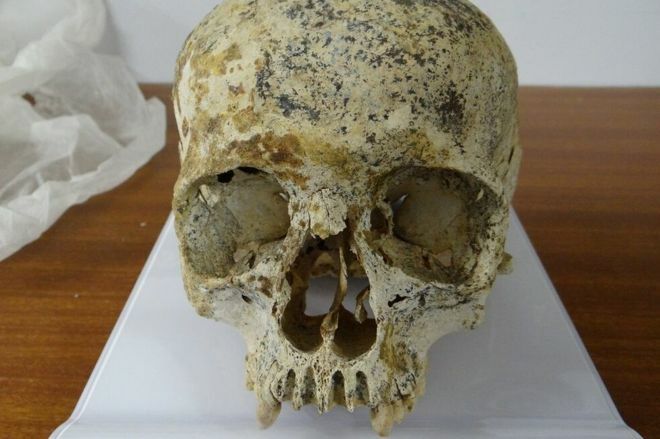 Researchers have identified what may be the earliest Muslim burials in France. The three skeletons unearthed at Nimes show indications of Islamic burial rites and are thought to date to the eighth century AD. 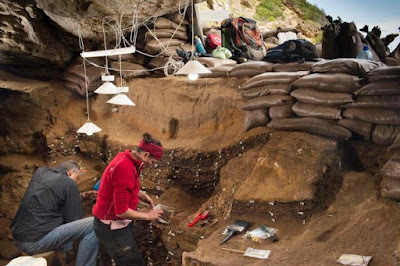 A team used DNA, radiocarbon dating and archaeological analysis to show the individuals may have been North African soldiers from a brief occupation of southern France by an Islamic army. Details of the analysis are published in the journal Plos One. In each of the three graves, the bodies were placed on their right-hand sides facing south-east - in the direction of Mecca. The way the burial pit was dug, with a lateral niche closed off by slabs or stones also corresponds to a traditional Islamic burial practice. The Temple of Apollo, one of the areas most affected by heavy foot-fall. Tourists on cruises are being advised to change their itineraries and check out lesser-known archaeological sites. Last week, the five towns of Cinque Terre announced that they could no longer cope with the barrage of tourists making their way along the breathtaking coastal walkways. Tourist numbers will be capped and once the daily limit is reached, no more people will be allowed into the Unesco site. It seems that Pompeii too is struggling from the high numbers of visitors traipsing round the ancient site - and one group in particular is thought to be to blame. "Cruise-tourists are wearing out the ruins of Pompeii. The entrance steps of the Temple of Apollo, in particular, have been ruined by the influx of tourists,” claimed Adele Lagi, from Unesco, at a conference organized by the non-profit organization I Love Pompeii. 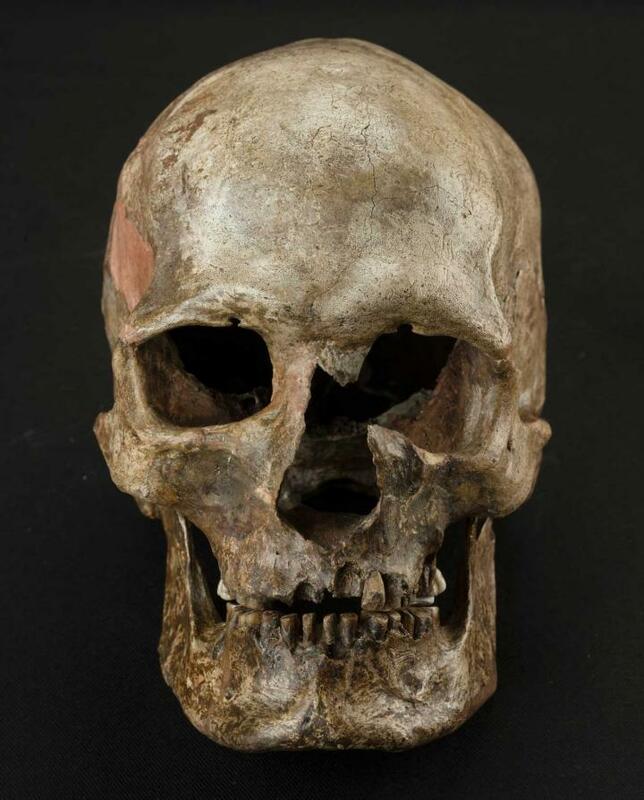 COLD SPRING HARBOR LABORATORY—Cold Spring Harbor, NY - Using several different methods of DNA analysis, an international research team has found what they consider to be strong evidence of an interbreeding event between Neanderthals and modern humans that occurred tens of thousands of years earlier than any other such event previously documented. Today in Nature the team publishes evidence* of interbreeding that occurred an estimated 100,000 years ago. More specifically the scientists provide the first genetic evidence of a scenario in which early modern humans left the African continent and mixed with archaic (now-extinct) members of the human family prior to the migration "out of Africa" of the ancestors of present-day non-Africans, less than 65,000 years ago. Evidence of violent storms that destroyed a lost town known as Britain's Atlantis has been uncovered. 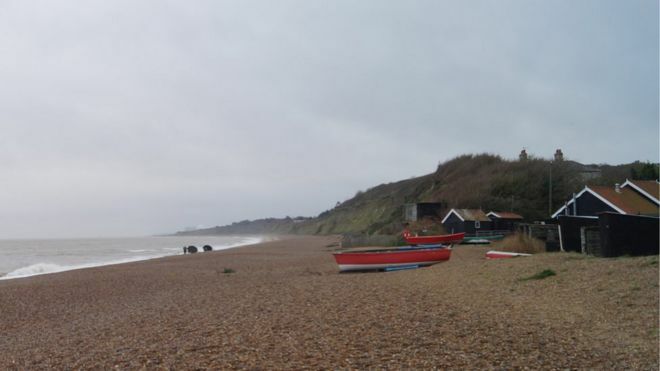 The finds were uncovered off the coast of Dunwich, Suffolk - a small village which in the 11th Century was one of the largest towns in England. The town was hit by a succession of storms in the 13th and 14th centuries and is now largely below the sea. Researchers said sediment gathered from the cliffs independently corroborated the historical record. The young man was buried in a vertical pit in a 8,500-year-old cemetery, one of the oldest ever found in Europe. A Mesolithic site in Germany has revealed the 7,000-year-old remains of a young man buried there in a strange upright position. Placed in a vertical pit, the body was fixed upright by filling the grave with sand up to the knees. The upper body was left to decay and was likely picked at by scavengers. 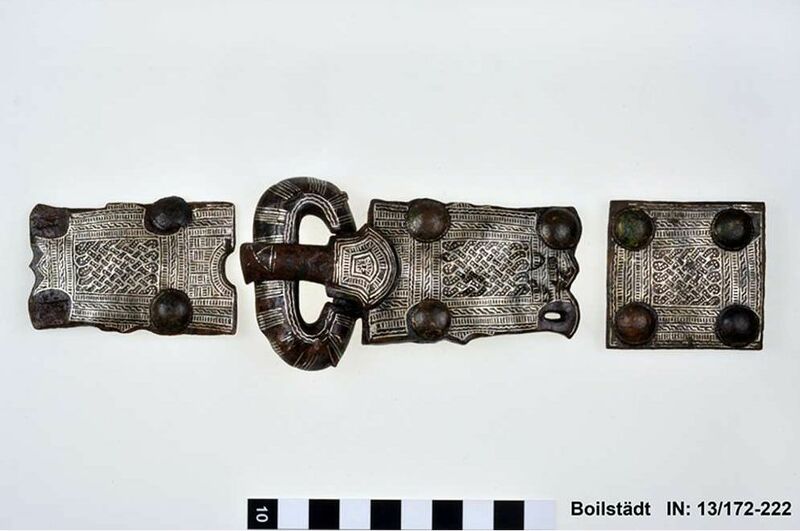 The unique burial was found near the village of Groß Fredenwalde, on top of a rocky hill in northeastern Germany, about 50 miles north of Berlin. A medieval ship has been raised after half a millenium of resting on a riverbed in The Netherlands. A "mystery" gold mount found in a Norfolk field has provided "another piece of the jigsaw" for historians looking for Anglo-Saxon settlements. The item was found near Fakenham and is possibly from a sword grip, but experts say it has differences to similar finds. Dr Andrew Rogerson, county archaeologist, said: "It's a fragment, but there's no context for it." No evidence of dwellings has ever been found in the village. 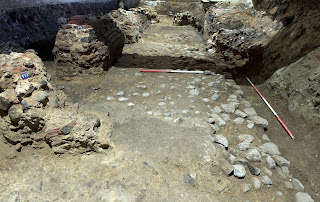 Three funerals from the Late Roman period have been discovered during recent excavations at the Ostrusha Tomb, one of the most famous Ancient Thracian burial mounds (tumuli) in the Valley of Thracian Kings near the town of Kazanlak in Central Bulgaria. The three graves, which date back to the second half of the 4th century AD, were found during rescue excavations in the late fall of 2015 by archaeologist Diana Dimitrova from the National Institute and Museum of Archaeology in Sofia and Meglena Parvin from the Iskra Museum of History in Kazanlak. 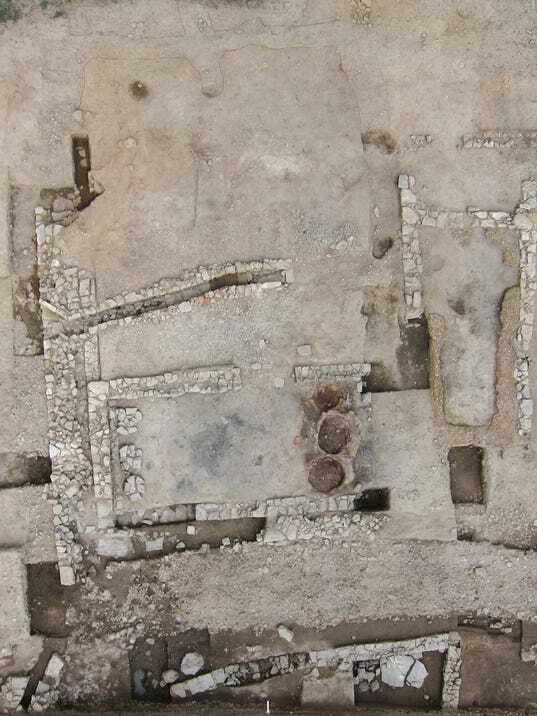 Their findings have just been presented during the 35th Regional Conference of the Archaeologists from Southeast Bulgaria hosted by the Museum in Kazanlak, which featured 15 participants with 11 reports, reports Darik Stara Zagora. A complete Bronze Age wheel believed to be the largest and earliest of its kind found in the UK has been unearthed. 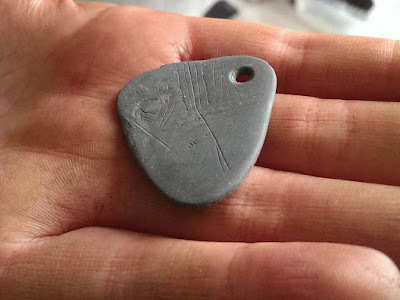 The 3,000-year-old artefact was found at a site dubbed "Britain's Pompeii", at Must Farm in Cambridgeshire. Archaeologists have described the find - made close to the country's "best-preserved Bronze Age dwellings" - as "unprecedented". Still containing its hub, the 3ft-diameter (one metre) wooden wheel dates from about 1,100 to 800 BC. The wheel was found close to the largest of one of the roundhouses found at the settlement last month. 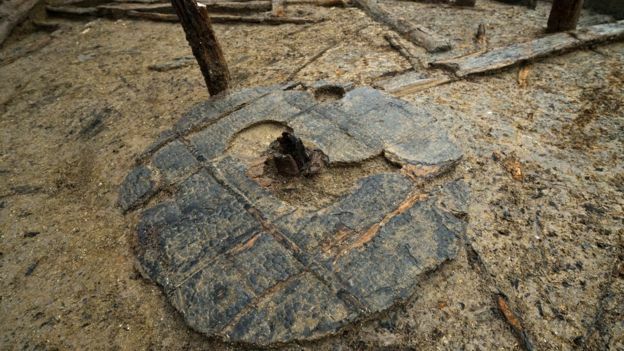 The largest and most perfectly preserved bronze age wheel ever discovered in the UK, made of oak planks almost 3,000 years ago, has emerged from a site in Cambridgeshire dubbed a Fenland Pompeii. 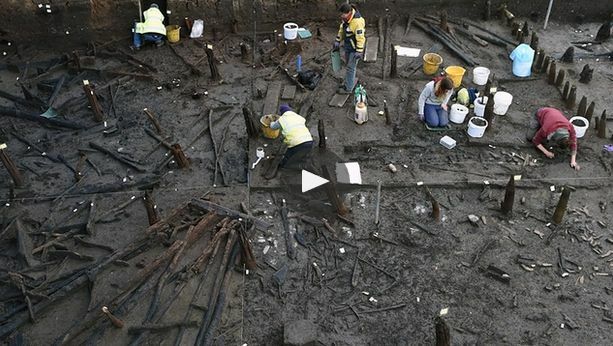 Archaeologists are carefully excavating the wheel, which was found still attached to its hub and scorched by fire that destroyed the settlement built on stilts over a tributary of the river Nene. Otzi, for those not up on their 5,300-year-old mummified men, died and was frozen in the Alps near Hauslabjoch on the border between Austria and Italy. His body is one of the best preserved human mummies in Europe and now he’s getting a 3D-printed makeover. Researchers and engineers have worked together with 3D-printing firm Materialise to perfectly scan Otzi. This allows researchers to 3D print his tortured frame over and over again and, in an interesting episode of Nova, an artist will create a perfect replica of the mummy for study by researchers and potential museum-goers. Otzi, for his part, his hanging out in a climate-controlled vault in Italy so he doesn’t degenerate. Ibn Fadlan’s vivid eye-witness report of his mission to the Bulgars on the Middle Volga in 921/2 is probably one of the most widely known and intensively studied of early Arabic texts. Yet the importance of Ibn Fadlan and his mission has yet to receive a full and rounded assessment. Our two-day interdisciplinary conference will draw on historians, numismatists, textual scholars and archaeologists and will attempt to set Ibn Fadlan’s account within the broader context of tenth-century Europe, the Islamic world and the Eurasian steppes. The royal tomb known as Arzhan 2 in the modern-day Republic of Tuva - to many, the most mysterious region in all Russia - is some 2,600 years old but its valuables match any trove from any era anywhere in the world. Forget the notion of barbaric Siberian nomadic tribes in this epoch: well, don't quite forget. These ancient warriors used the skulls of their vanquished foes as drinking cups, according to no less an authority than Greek historian Herodotus. 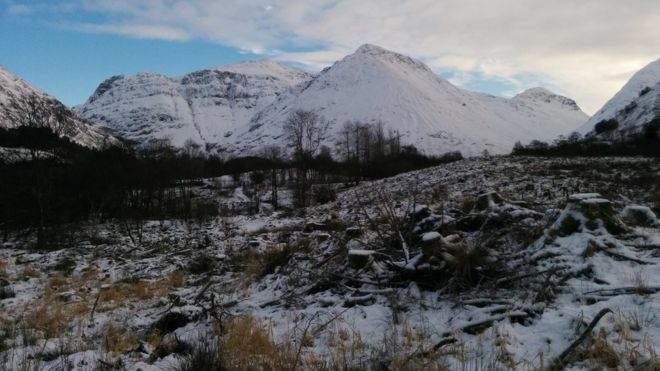 Archaeologists are to investigate the remains of a turf house building that they believe could have a connection to the Massacre of Glencoe. The ruin was recently discovered at Achtriochtan, one of the places where some of the 38 murdered members of the MacDonald clan lived. The killings in Glen Coe in February 1692 were carried out on the orders of the government. A National Trust for Scotland team will visit the site next week. It is rare to find the remains of the above-ground parts of Roman buildings in Colchester. Generally only the foundations of buildings survive and, even then, these more often than not have been partly or wholly dug up in the past to rob out the building materials which they contain. Fortunately, things are different at 97 High Street because, not only are there parts of a collapsed Roman building there, but the original structure just happens to have been something extra special – an impressive arcade of monumental proportions. The arcade was over 100 metres long and perhaps 8 metres or more in height. Its exact plan is yet to be recovered, but the arcade appears to have been made up of a square monumental gate flanked on each side by 12 or so arches to make about 24 in all. This impressive structure provided a grand entrance into the precinct of the Temple of Claudius. 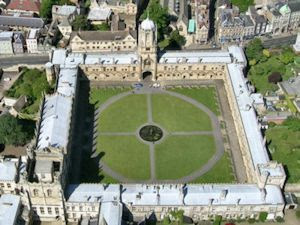 Both structures are unparalleled in Britain and are on a scale with buildings in Rome. A similar arcade is currently being investigated in Picardy in France, at the small town of Pont-Sainte-Maxence about 25 miles north of Paris. This arcade is of unprecedented scale in Gaul but it is significantly smaller than ours in Colchester. How to live, the Latin way. A 12th-century manuscript with material copied from the earlier texts – an important source for Professor Dickey in her research. 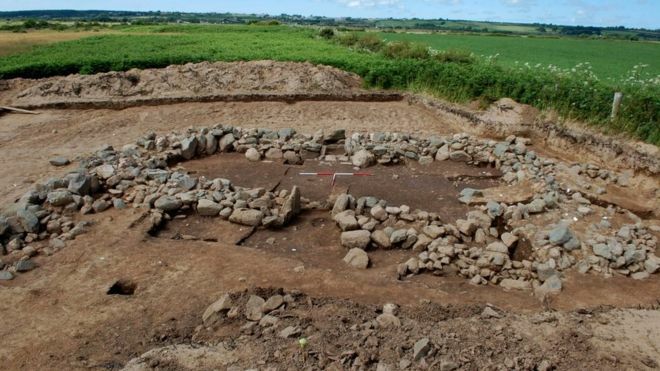 Archaeologists in Gwynedd have discovered what is thought to be a buried village on Anglesey. The discovery was made at Rhuddgaer, near Newborough, following a survey using technology to map out buried features without digging holes. The village is believed to date back to the 7th or 8th Century, after the Romans had fled Britain. The Gwynedd Archaeological Trust said: "We don't have any others to compare it to as this is a first." Volunteers joined students and staff from Bangor University to revisit the location where a fourth or fifth Century coffin was found in the 1870s. The coffin is now in Bangor Museum. 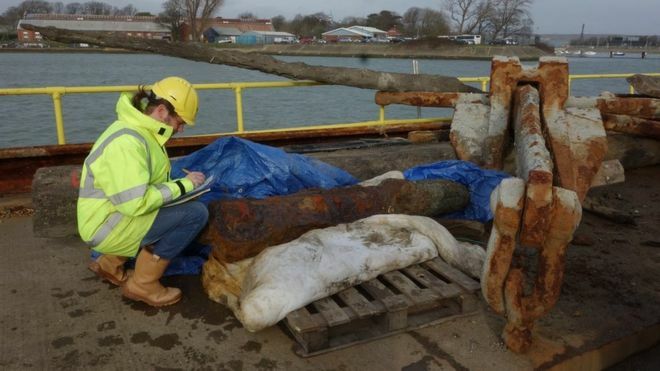 An iron cannon has been unearthed during dredging work on Portsmouth Harbour. The relic was recovered during a seabed clearance to prepare for the new Queen Elizabeth Class aircraft carriers. 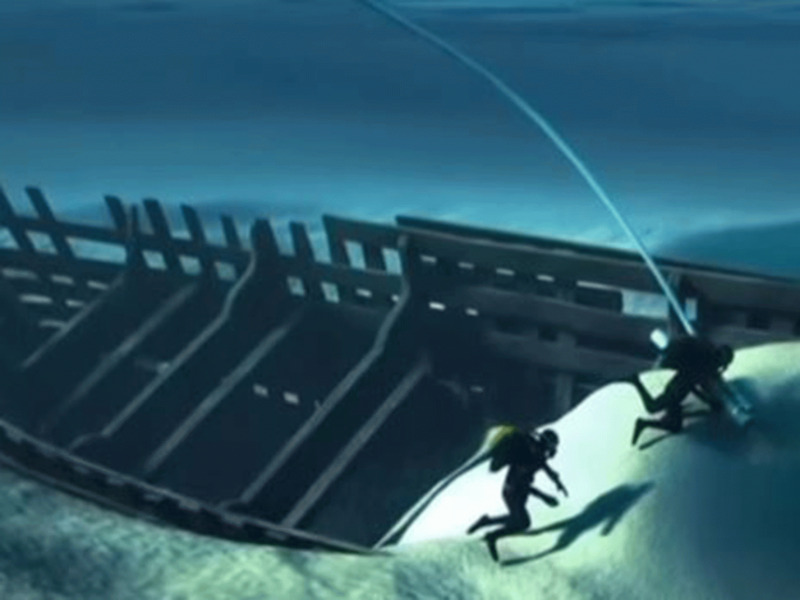 Experts believe, although cannons can indicate the presence of unknown shipwrecks, it was an "isolated discovery". It is being held at the Mary Rose Museum before tests are carried out to determine its age. Previous work has focused on the overall human migration patterns within the Roman Empire. To understand human migration on a more granular level, the authors of this study examined 105 skeletons buried at two Roman cemeteries during the 1st through 3rd centuries AD. They analyzed the oxygen, strontium, and carbon isotope ratios in the skeletons' teeth to determine their geographical origin and diet. A hoard of 700 year-old coins has been found by a group of metal detectors in a Jutland field being excavated by archaeologists, the Viborg Museum announced on Wednesday. Coins dating back to a tumultuous period of civil war in Denmark were found in a field south of Foulum and are being put on display at the Viborg Museum. The museum said that three members of the Central Jutland Detector Society (Midtjysk Detektorforening) discovered the mediaeval coins, which are thought to have been hidden during the first half of the 1300s, a period of internal unrest in Denmark which culminated in a temporary end of royal rule. 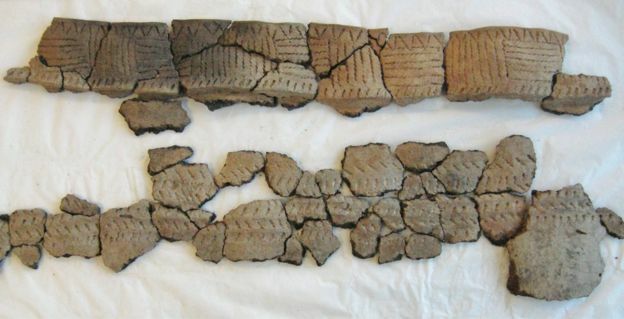 "Our findings of large-scale fish fermentation, a traditional way of preserving fish, indicate that not only was this area settled at that time, it was also able to support a large community," says Adam Boethius, whose findings are now being published in the Journal of Archaeological Science. The discovery is also an indication that Nordic societies were far more developed 9,200 years ago than what was previously believed. The findings are important as it is usually argued that people in the north lived relatively mobile lives, while people in the Levant -- a large area in the Middle East -- became settled and began to farm and raise cattle much earlier. 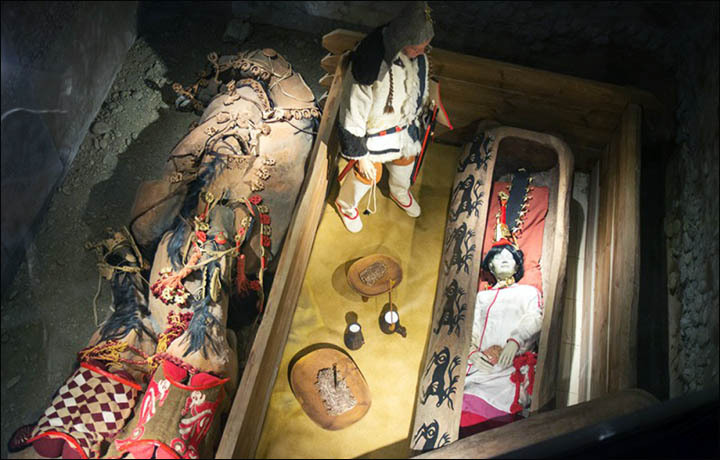 An appeal will be launched after a court this week rejected a demand by the the leader of the Teles ethnic group in the Altai Mountains to order the reburial of the world famous tattooed remains of 'Princess Ukok', dug from her tomb in 1993 by leading Russian archeologists. 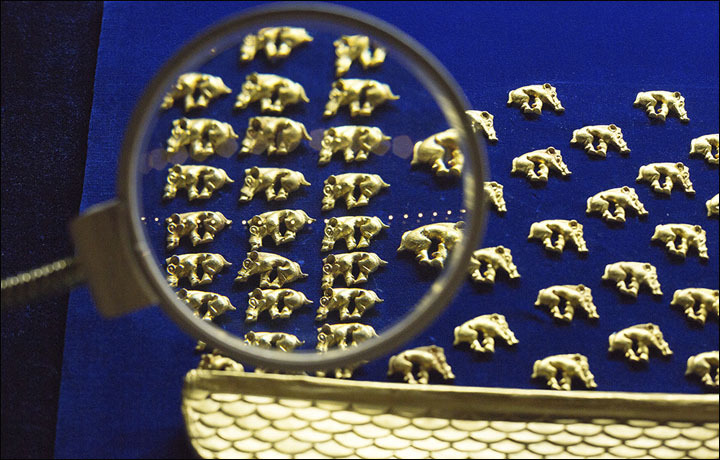 A court in Gorno-Altaisk rejected his lawsuit, allowing the relic to remain in the care of the National Museum in the city, capital of the Altai Republic. DNA evidence lifted from the ancient bones and teeth of people who lived in Europe from the Late Pleistocene to the early Holocene—spanning almost 30,000 years of European prehistory—has offered some surprises, according to researchers who report their findings in the Cell Press journal Current Biology on Feb. 4, 2016. Perhaps most notably, the evidence shows a major shift in the population around 14,500 years ago, during a period of severe climatic instability. Blombos Cave in South Africa has given us vast knowledge about our early ancestors. In 2015, four open access articles, with research finds from Blombos as a starting point, have been published in the journal PLOS ONE. "We are looking mainly at the part of South Africa where Blombos Cave is situated. We sought to find out how groups moved across the landscape and how they interacted," says Christopher S. Henshilwood, Professor at the University of Bergen (UiB) and University of the Witwatersrand and one of the authors of the articles. 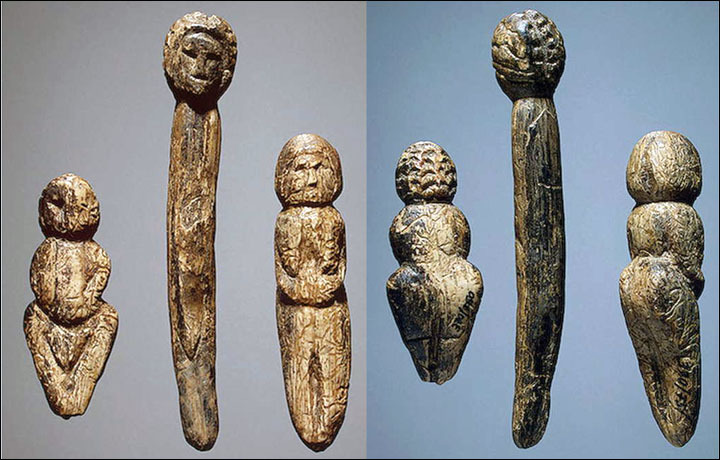 TÜBINGEN, GERMANY—A new genetic study suggests that some 50,000 years ago, all non-Africans dispersed rapidly from a single population, and that around 14,500 years ago, there was a major turnover of the population in Europe. Researchers reconstructed the mitochondrial genomes of 35 hunter-gatherers who lived in Italy, Germany, Belgium, France, the Czech Republic, and Romania between 35,000 and 7,000 years ago. The mitochondrial DNA of three of these individuals, who lived in what is now Belgium and France more than 25,000 years ago, belonged to haplogroup M. Haplogroup M is now very common in Asian, Australasian, and Native American populations, but had not been found in Europe, leading to the argument for multiple migrations. “When the Last Glacial Maximum began around 25,000 years ago, hunter-gatherer populations retreated south to a number of putative refugia, and the consequent genetic bottleneck probably resulted in the loss of this haplogroup,” Cosimo Posth of the University of Tübingen said in a press release. 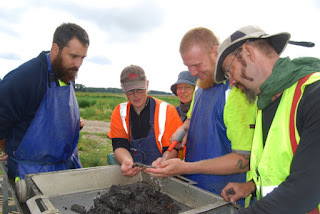 Archaeological excavations of Viking latrine pits in Denmark have revealed that these populations suffered massive worm infestations (link is external). 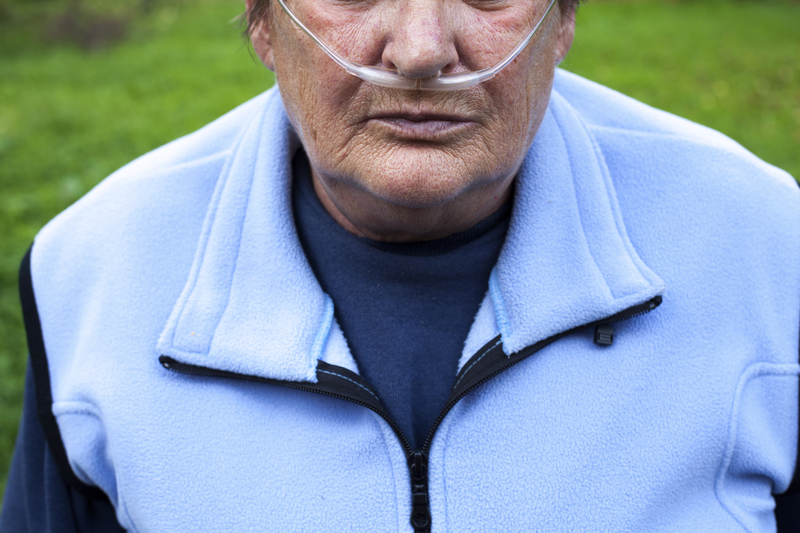 The way that their genes developed to protect their vital organs from disease caused by worms has become the inherited trait which can now lead to lung disease in smokers. Ancient records tell us that the intrepid Viking seafarers who discovered Iceland, Greenland and eventually North America navigated using landmarks, birds and whales, and little else. There's little doubt that Viking sailors would also have used the positions of stars at night and the sun during the daytime, and archaeologists have discovered what appears to be a kind of Viking navigational sundial. But without magnetic compasses, like all ancient sailors they would have struggled to find their way once the clouds came over. 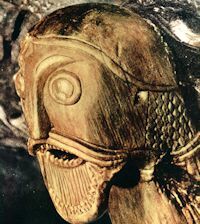 However, there are also several reports in Nordic sagas and other sources of a sólarsteinn "sunstone". The literature doesn't say what this was used for but it has sparked decades of research examining if this might be a reference to a more intriguing form of navigational tool. Rome’s only surviving pyramid from ancient times is being put in the spotlight after a Japanese clothing magnate helped pay for an ambitious cleanup. Archaeologists are eager to show off the monument, constructed around 2,000 years ago as the burial tomb for a Roman praetor, or magistrate, named Caius Cestius.